Á undanförnum árum hafa ýmsir sjávarklasar verið stofnaðir við Norður Atlantshaf, allt frá Vestur Kanada til Noregs, Danmörku, Skotlands og Írlands í austri. 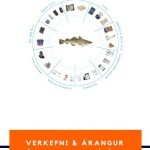 Allir þessir klasar eru svæðisbundnir í kringum sín tengslanet. 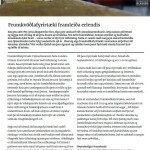 Margir af klösunum hafa sýnt góðan árangur en rannsóknir benda til að mörg þessara fyrirtækja eru enn að berjast við að komast á alþjóða markað. 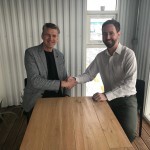 Markmið okkar er að auka tengslin milli sjávarklasanna við Norður Atlantshafið með því að styrkja tengslin meðal Norður Atlantshafs sjávarklasa sem tengist sjávarlíftækni frá útgerðum og vinnslutækni yfir í líftækni. 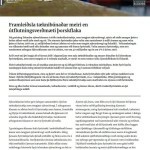 Skammtíma ágóðinn af þessu eru tengsl milli sjávarklasa og hátæknifyrirtækja við Norður Atlantshafið sem þróða nýjar lausnir fyrir sérhæfðan markað..
Langtíma hagur væru sterkari auðkenni fyrir Norður Atlantshafssvæðið sem veitir fyrsta flokks tækni fyrir sjávartengdan iðnað og meira samstarf í kostnaðarmikilli og áhættusamri framleiðslu sem tekur nokkur ár að þróa og koma á markað. 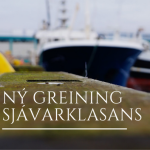 Íslenski sjávarklasinn hefur nýverið gefið út skýrslu þar sem sjávarklasar við Norður Atlantshaf voru kortlagðir, skýrsluna má nálgast hér. 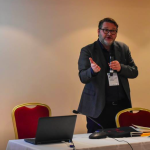 Fyrir nánari upplýsingar, hafið samband við verkefnisstjórann Vilhjálm Jens Árnason (vja@sjavarklasinn.is) eða framkvæmdastjórann Þór Sigfússon (thor@sjavarklasinn.is).In recent years various marine/ocean clusters have been formed in the North Atlantic, from Western Canada to Norway, Denmark, Scotland and Ireland in the east. All of these clusters are based on the local or regional dimension of networks. Many of these clusters have shown some positive results but research indicates that many of these small firms are still striving to reach global markets. 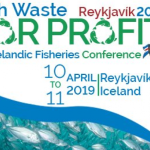 Our goal is to increase relations between ocean/marine industries in the North Atlantic, by strengthening the relationships among the North Atlantic ocean/marine clusters particularly related to the bio-marine industry from fisheries and processing technology to biotechnology. Short term benefits would result in relationships among ocean/marine clusters and high tech firms in the North Atlantic region developing new solutions in niche markets. The long term benefit would be both a stronger identity of the North Atlantic region as a world class provider of technology for the ocean/marine sector and more cooperation in high-cost and high-risk production that take several years to develop and to market. 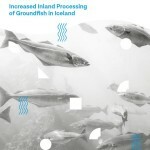 The Iceland Ocean Cluster has published a report with a mapping of the North Atlantic Ocean Clusters, the report can be read here.